The complete 78-card Tarot pack is divided into two sections: 22 Major Arcana and 56 Minor Arcana cards. 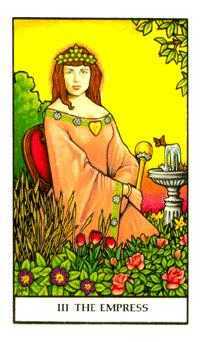 The Major Arcana are allegorical cards and are also known as the Triumphs, the Greater Arcana, the Higher Arcana, and the Atouts. 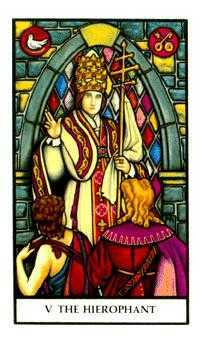 The Minor Arcana are divided into four suits: Swords, Wands, Cups, and Pentacles. In each suit are four court cards: King, Queen, Knight, and Page, and ten numbered cards. 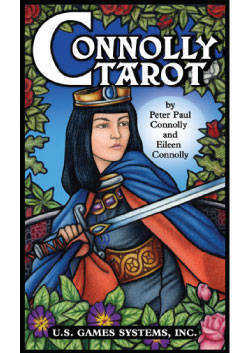 Eileen Connolly designed the Connolly Tarot deck in cooperation with her son, Peter Paul Connolly. The scenes on each card are reminiscent of medieval stained glass associated with majestic cathedrals. Each card touches the subconscious in a profound way, and the spiritual and inspirational imagery brings the viewer to a higher level of consciousness. The wardrobes of the figures are resplendent in color and historic detail, and the scene on each card is luminous. The cards include symbols that Eileen Connolly has held in her consciousness for many years, yet the scenes convey simple, clear messages. The Major Arcana bear standard card titles with two exceptions. 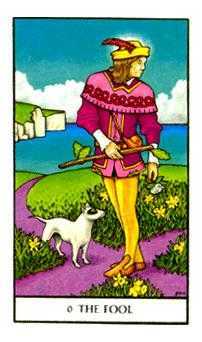 Card number 13, usually titled Death, is titled Transition in Connolly Tarot to reflect transformation and the change of one’s life path. Card 15, normally the Devil, has been changed to Materialism, and shows how the tools of life have been abused. Eileen Connolly, Ph.D. is one of the world’s leading authorities on Tarot, Numerology and other esoteric sciences. Dr. Connolly’s works are used extensively as textbooks by Tarot institutions. She is president of the Connolly University of Parapsychology, established in 1969, and an adjunct professor at Atlantic University, Virginia Beach, Virginia. As an educator and international parapsychologist, she is a welcome and regular guest on television and radio, both in the United States and abroad. Dr. Connolly’s first book was written to open the world of Tarot to the student. It is a simple textbook designed to educate and enlighten anyone with the desire to learn. 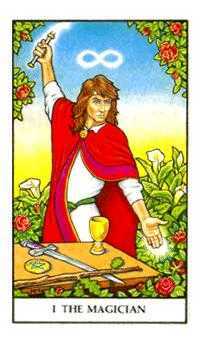 In planning the Connolly Tarot deck, the author used a simple approach. 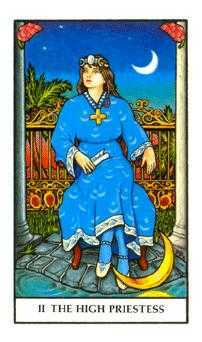 Each card presents a beautiful visual image that is faithful to traditional Tarot, yet eliminates all unnecessary and negative symbolism. The veil has been opened by Dr. Connolly with much love and wisdom in the hope that all will find success. Peter Paul Connolly was born in Farnworth, Lancashire, England, on August 1, 1964, and came to the United States with his parents in 1968. With no professional training, he has developed a unique artistic style using colored pencil as his medium. 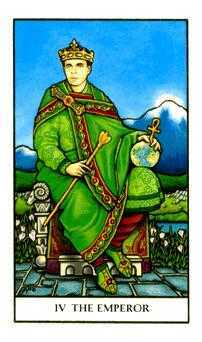 This style is reflected in the brilliant colors and detail seen in the Connolly Tarot deck. In a tireless effort of over eighteen months, Peter painstakingly constructed each card under the loving supervision of the author. Using this method along with hours of meticulous research he was able to bring to life the distinct personality within each symbol. Peter currently resides in North Carolina. His work can be seen in local galleries and has been displayed in Williamsburg and on the West Coast. He has illustrated novelty and gift cards, calendars, and books, and he does privately commissioned works.